IEEE EDS Distinguished Lecturer Seminar was held. 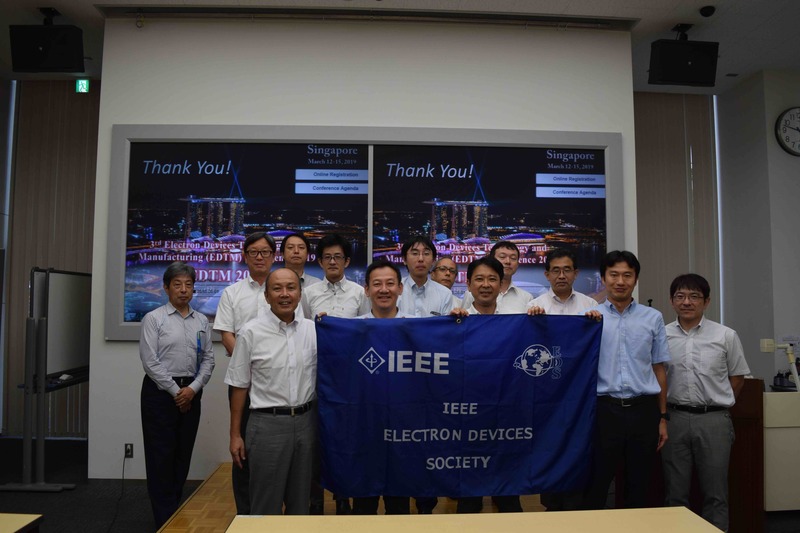 2019 IEEE EDS Japan Joint Chapter Annual Meeting and 2018 IEDM Report Session was held. IEEE EDTM-2018 Report Session was held. 2018 IEEE EDS Japan Chapter Annual Meeting and 2017 IEDM Report Session was held. Advanced registration was closed at 12:00pm, January 31, 2018. 2017 IEEE EDS Japan Chapter Annual Meeting and 2016 IEDM Report Session was held.